Rehearsals will resume for Quoddy Voices’ spring concerts at 7 pm, Monday, February 25, at Eastport Arts Center. 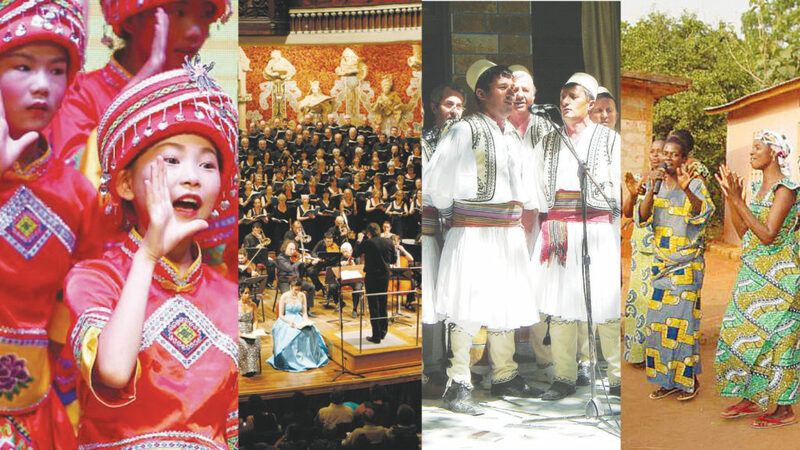 This season’s program is titled Around the World in 80 Minutes and will include choral works from all seven continents, even Antarctica (or written on the way there in 1843!). The chorus will prepare an exciting mix of pieces reflecting the diversity of cultures within the human family. The program, full of rhythm and joy, draws upon traditional folk idioms, including a Russian men’s chorus; a Zulu wedding song; an Australian work, Hope There Is, with text by an Aboriginal poet; and an arrangement of a melody of the Ojibwe First Nation tribe in Canada. One highlight will be a work composed for Quoddy Voices by the Chinese composer Yujing Bai. The group welcomes new singers of all experience levels. No auditions are required, but those wishing to join are asked to contact director John Newell before the first rehearsal at jnewell384@gmail.com. Quoddy Voices is a constituent group of the Eastport Arts Center, with dedicated members who hail from all over our region. For additional information, please contact Newell at the address above, or send a message via the Quoddy Voices Facebook page. The Eastport Arts Center is at 36 Washington Street, Eastport and www.eastportartscenter.org, and is handicapped-accessible.